After the Boston Red Sox won the World Series on Sunday night, the team was of course asked about their potential trip to the White House to further celebrate their championship. Over the course of Donald Trump's presidency, many championship team players across sports have shown a ​reluctance or unwillingness to make the traditional visit that comes with winning a title. However, Red Sox owner John Henry is clearly looking to avoid that controversy. Henry and MLB commissioner ​Rob Manfred believe the Sox take a trip to DC to see President Trump. However, manager Alex Cora, who didn't visit the White House last year as a member of the Houston Astros, indicated the team hasn't made a decision yet. ​​Several athletes across North American sports have voiced their displeasure with President Trump. 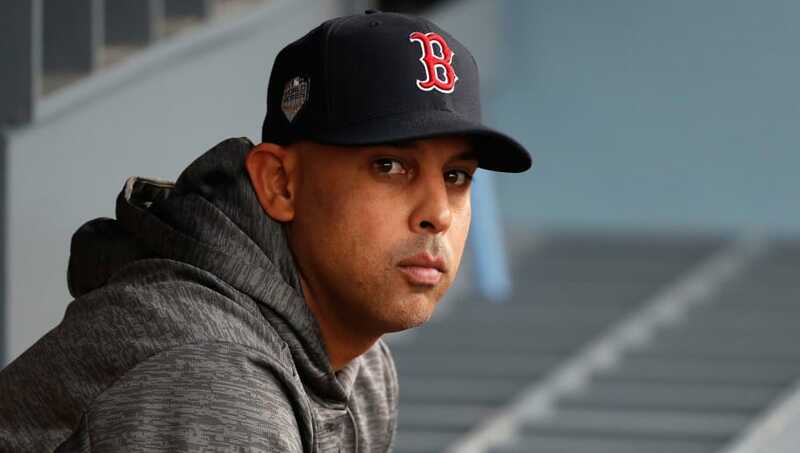 For example, many in the baseball world, including Alex Cora, were critical of Trump's handling of Puerto Rico after Hurricane Maria, especially after he criticized the mayor of San Juan. The team will probably have a meeting to discuss whether or not they will go, similar to what the Golden State Warriors did. If they do decide to go, it may be a very awkward meeting, considering Cora has been a vocal critic of Trump.